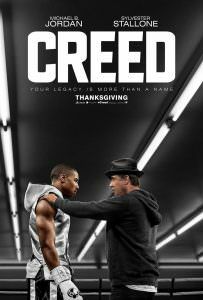 Ever since Sylvester Stallone’s 2015 sports drama “Creed” turned out to be a huge success, we somehow knew the sequel would be inevitable. Of course, the main star behind the movie has also been fueling up the Creed sequel fire by keeping us all updated on the status of the upcoming second installment, and now we finally have some tangible new info on the whole shebang. According to Stallone’s latest Instagram post, the Creed fans can expect the shooting to kick off in 2018. Unfortunately, we don’t have many other details related the project just yet. The plot is still being kept under wraps, but we do know Stallone’s been dropping rumors that the Creed sequel will see Michael B. Jordan‘s Adonis Johnson stepping into the ring to face the son of Dolph Lundgren‘s Ivan Drago. Yes, THE Ivan Drago, the man who killed Apollo Creed in Rocky IV. Do you feel the nostalgia kicking in? We also know that Stallone has been overseeing the script, but as far as the rumors go, it appears they won’t have director and writer Ryan Coogler returning for the sequel. Coogler is rather busy finishing up “ Black Panther” for Marvel. These circumstances do beg the question, though: Will the Creed sequel live up to the original?